Some foods promote a sense of fullness after a meal (satiety) better than other foods. Foods that promote satiety are rich in fiber, protein and healthy fats, or ones high in water. Many of these foods are very healthy and packed with vital nutrients, minerals, and vitamins, as well. Trying to lose a few pounds? Eating to lose weight may seem unrealistic, but it is possible. Research shows that some foods have a fat-burning impact in the body. If you follow a healthy diet that incorporates the below foods, combined with water intake, portion control, exercise, enough sleep, and stress reduction, you will definitely lose weight. Instead of focusing on what you should avoid, focus on the tasty foods that will keep you satisfied. The following are 13 great foods for weight loss. An apple a day can keep the fat at bay. This delicious, portable fruit is an ideal snack, loaded with water and both soluble and insoluble fiber, which are great for weight loss. Soluble fiber helps prevent spikes in blood sugar that cause cravings, while insoluble fiber helps you feel full. A medium-sized apple is approximately 85% water with 5g of soluble fiber, which makes it a perfect snack. 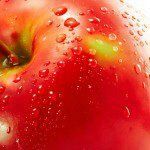 Apples also have a flavonoid known as quercetin, which is shown to help fight cancer, promote healthy lungs and minimize cholesterol damage. There is a misconception that it’s best to eat only egg whites, but it is okay to eat the whole egg. It is delicious, and the yolk contains half the protein. Protein such as that contained in egg yolk aids in the release of glucagon, the hormone that promotes fat burning and fights off stomach fat. 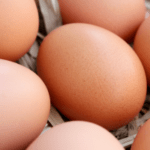 Not only does the egg yolk contain vitamin E, it also keeps you full longer. Boil a dozen eggs to snack on throughout the week. 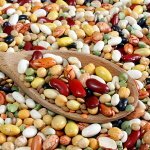 Beans are versatile, inexpensive and filling. They are an excellent source of protein, packed with fiber, and slow to digest. This means beans make you feel full for longer, which can make you eat less, contributing to weight loss. 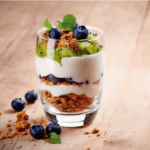 A top stomach-flattening food, yogurt is packed with probiotics, beneficial bacteria that can help decrease the amount of fat absorbed by the body. Choose low-fat yogurt or Greek yogurt as both contain only half of the sodium found in regular yogurt and do not contain artificial preservatives or sweeteners. 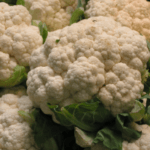 When you are trying to shed pounds, cauliflower is one of the few vegetables that can be consumed in unlimited quantities. This non-starchy vegetable is also good for your health. It contains phytonutrient sulforaphane, a cancer-fighting substance, as well as adequate vitamin C and folate, which may be beneficial for weight loss. If you do not like cauliflower, try broccoli or spinach. Hot peppers such as chilies and jalapenos contain capsaicin, which gives them the fat-busting effect. 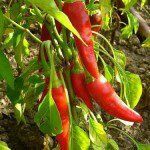 Research has shown that capsaicin reduces stomach fat in both men and women by fat oxidation. Capsaicin has also been shown to boost resting metabolic rate, hence increasing the rate at which the body burns calories and/or fat at rest. Consuming a breakfast consisting of “slow release” carbohydrates, like bran cereal or oatmeal, three hours before exercising can help your body burn more fat, according to study published in the Journal of Nutrition. Eating “slow release carbs” does not increase blood sugar levels as much as eating refined carbs, like white toast. As a result, insulin levels do not spike as much and since insulin signals your body to start storing fat, low insulin levels may help in fat-burning. 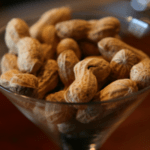 Peanuts are one of the most commonly consumed nuts in the world. According to a study conducted at Purdue University, peanut consumers tend to eat less throughout the day and are far more likely to control their weight, no matter the amount of peanuts they eat. It turns out that the fat and protein in peanuts make you feel full for longer, which helps with weight loss. All types of nuts are loaded with healthy fats and other good nutrients, but a good option for people who want to lose weight are almonds. 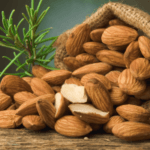 Almonds have fewer calories that many other nuts (e.g. macadamias) and the fat and protein content will help you fight cravings. 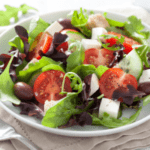 Salads are a wonderful way to add lots of filling foods to your diet. Think fresh vegetables, healthy fats and lean protein. And it’s backed up by research. A Penn State University study found that people who had a salad before eating pasta for lunch consumed fewer calories from the whole meal compared to those who only ate the pasta. Rich in fiber, magnesium and folate, lentils are a great legume for those who want to slim down. This versatile, fat-free food can be prepared in a variety of ways, and will make you feel as if you have eaten a creamy, meaty dish without the saturated fat and calories that are found in meat. 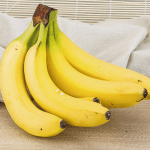 Fruit is often overlooked in some diets, but it still has plenty to offer, especially bananas. Bananas contain resistant starch which has been shown to have a beneficial effect on fat reduction. The good bacteria in the gut turns the starch into a fatty acid and helps reduce obesity by metabolism of fat after eating, which helps your weight loss efforts in the long run. 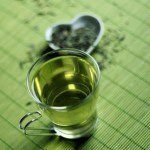 According to American Journal of Clinical Nutrition, drinking a few cups of green tea daily can help promote thermogenesis and fat oxidation. Green tea contains catechins, a phytochemical that controls metabolism. However, green tea is not ideal for those who are very sensitive to caffeine. Instead, they should try taking a green tea supplement packed with EGCG, a variety of catechin contained in green tea. 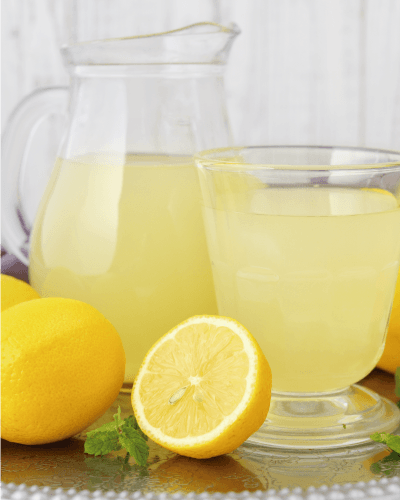 Detox Diets are popular food plans that are capable of flushing toxins from your body system. Before opting for a Detox Diet, it is better to know more about these diet plans. Detox Diets enable you to lose weight, as they recommend diet plans that are usually extremely low in calories. However, the idea that your body requires help in getting rid of contaminants has no base in biology. The organs and immune system of your body will handle those tasks, no issue what you consume. In addition, you are likely to drop weight and gain it again when you leave any extreme diet. Fruit: Your detox diet plan may include any fruit including frozen, fresh, canned or dried in natural fruit juice. This includes bananas, apples, pears, grapefruit, oranges, satsumas, raisins, sultanas, pineapple, kiwi fruit, mango, raspberries, strawberries, blackcurrants, peaches, nectarines, star fruit, melons, etc. Fruit Juice: A fruit juice may include ready-made juices, homemade smoothies, or fruit juices prepared from fresh fruits. However, ensure that while opting for ready-made juices, they are labeled as being unsweetened or pure. Vegetables: Consume any vegetables, including frozen, fresh, or canned in water, without any addition of salt. This comprises carrots, turnip, onions, Swede, cabbage, sprouts, peppers, sweet corn, mushrooms, peppers, courgettes, leeks, broccoli, salad, cauliflower, tomatoes, spring onions, cucumber, etc. Lentils and Beans: Consume any beans, whether canned or dried. This includes red kidney, cannellini, haricot, butter, pinto, black eye, red lentils, brown lentils and green lentils. 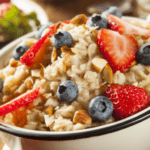 Oats: Sprinkle oats on fresh fruit or use to prepare porridge, sweetened with fresh fruit or honey. Potatoes: You can consume all types of potatoes. Fresh Fish: You can consume any fresh fish, including mackerel, cod, plaice, salmon, crab, lobster, trout, tuna, haddock, prawns, red mullet, Dover sole, halibut, monkfish, lemon sole, swordfish etc. Canned fish in water, such as tuna or salmon, is also appropriate. Nuts: Consume any nuts without salt, including peanuts, Brazil, almonds, hazelnuts, cashew, macadamia, pine nuts, pecans, walnuts, pistachio, etc. Seeds: Consume any seeds without salt including pumpkin and sunflower. What else you can consume during a Detox Diet? Rice cakes, rye crackers and oatcakes. Rice noodles and brown rice. Plain popcorn without salt or sugar. Balsamic vinegar and extra virgin olive oil. Ginger, garlic and fresh herbs. At least two liters of mineral or tap water a day. Milk, eggs, cheese, and cream. Chicken, red meat, turkey and any meat products, such as burgers, sausages, and pate. Sweets, chocolate, sugar, and jam. Any food with wheat, including croissants, bread, cereals, biscuits, cakes, pies, quiche, pastry, battered or bread fragmented foods, etc. Ready meals, processed foods, ready-made takeaways, and sauces. Pickles, sauces, store-procured salad dressing, mayonnaise. Bubbly drinks and soda, including diet. What is a good Detox Diet Plan Breakfast? Fresh fruit salad with natural yogurt and a sprinkle of oats. Banana porridge prepared with water and topped with banana, natural yogurt, raisins and sweetened with honey. Homemade muesli prepared from seeds, oats, nuts and dehydrated fruit with natural yogurt. Fruit smoothie prepared from natural yogurt, fresh fruit, and honey to sweeten, if required. Fresh fruit and a cup of natural yogurt sweetened with honey. What is a good Detox Diet Plan Lunch? Baked potato topped with canned tuna mixed with natural yogurt and sweet corn and served by means of salad. Lentil or vegetable soup with oatcakes. Rice cakes served with avocado, arugula, tomatoes, black pepper and fresh basil, with a handful of unsalted nuts. Grilled cod fillet, served with lightly steamed vegetables and baked potatoes. Homemade tzatziki prepared from garlic, natural yogurt, lemon juice and cucumber, served with oatcakes and vegetable crudites. Homemade guacamole prepared from lemon juice, avocado, fresh chili, garlic and tomatoes, served with oatcakes and vegetable crudites. Fresh avocado, served with salad, shrimp, lemon juice, and balsamic vinegar. What are good Detox Diet Plan Dinners? Baked salmon with baked potato. Tuna and shrimp with noodles. Sweet and sour stir fry with rice. Natural yogurt mixed with honey. Fresh fruit or fresh fruit salad. Handful of unsalted nuts or seeds. You will be starving and you may feel weak. Whether a detox diet is safe or not will depend on the diet plan and how long you continue it. Most individuals do not feel fine on low-calorie, nutrient-deprived diets. Dieters may experience low energy, muscle aches, low blood sugar, fatigue, lightheadedness, dizziness, and nausea. If the thought of detoxing appeals to you, you may try clean eating instead, which concentrates on fruits, vegetables, lean protein and whole grains, without a lot of processed foods. That is fine for you and more likely to produce effects that last, particularly if you create an exercise routine. You will avoid many foods you usually consume. Detox diets are usually extremely rigid and entail consuming the identical few things again and again. Food preparation and shopping: It depends on the detox plan you are adopting. What you can consume is restricted, so your shopping list will depend on that. Other requirements: Some detox diet plans advocate pills, herbs, enemas, powders, and other forms of colon purification. Methods in detox diets differ and may require products that are only accessible from the website of the person advocating your specific detox plan. Expenses: In addition to your grocery shopping, a detox diet may require supplements and other products that differ in cost. Support: No support will be available, except some sources you may discover online. No exercise is required, and also you may not have the energy for it, as you are not consuming enough calories on a detox diet. 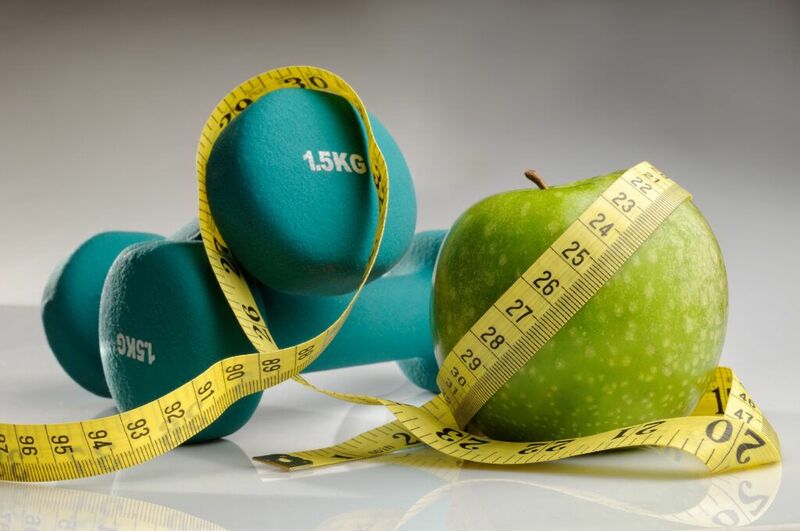 You can generate your individual detox plan and calorie counts with the tools in Weight Loss Sources.Keep an online food diary, set a weight loss goal, and determine the amount of calories you require to get there. 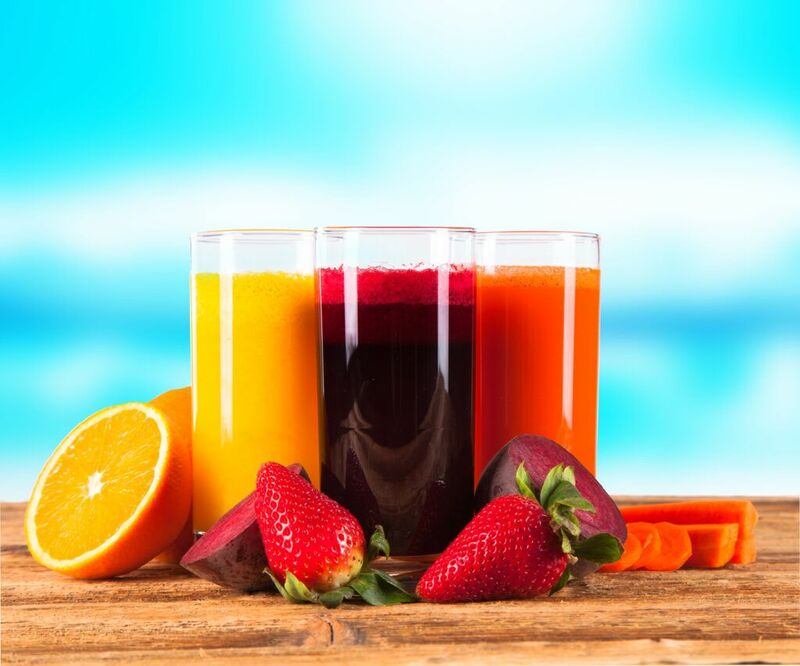 Detox diets are a cleansing of your body’s inner core, releasing all the bad toxins through the liver and colon. People might detox to bring their energy levels up or to eliminate medication from the body. Other people mainly detox simply to lose excess weight. But what people do not always realize is that detoxing is not a permanent fix for weight loss. You should be consistent with your weight loss regimen and gradually introduce foods back into your body. The weight that you do lose from a detox diet is mainly water weight cleaning out from your body. An absence of physical activity may lead to poor blood flow which could have a bad effect on your health and immune function. The simplest way to improve blood pumping is exercise. Enhance Elimination: While toxins which have been stored in cells are usually metabolized, many exit our body through feces, urine, or perhaps sweating. Some are reabsorbed and recirculated. From time to time, the organs associated with elimination are usually lethargic from inactivity and poor diet. Ingesting meals that prevent constipation may help. Under a physician’s watch, natural laxatives like senna herbal tea, cascar, colonics, or enemas are used. Develop Digestive function: Enhance the actual growth and development of good bacteria in the intestines to keep potentially harmful organisms in check. “Bad” microbes, in excess, may impair the actual digestive tract coating, which may be available to the actual bloodstream or hurt cellular filters in the body. Fermented meals (such as kefir, sauerkraut, and kimchi) are usually a good example of meals that can help the growth and development of good bacteria. Probiotics may also be supplemented. Many detox meal plans leave out meals including grain along with gluten-containing foods. Instead, a clean eating diet provides the liver with necessary protein, vitamins, antioxidants, and other nutrients, allowing it to detoxify efficiently. Nutritional supplements can also be considered by your healthcare provider’s watch, like proteins, vitamin supplements, antioxidants, herbal remedies, and detoxifying teas. Body Wellness: Anxiety can certainly harm the body’s detoxing organs and bring on digestive disorders and other markers of poor health. Any detoxifying diets should not just permit the body mend, but also let the mind rest. Try to add in mind/body routines in your detoxification.